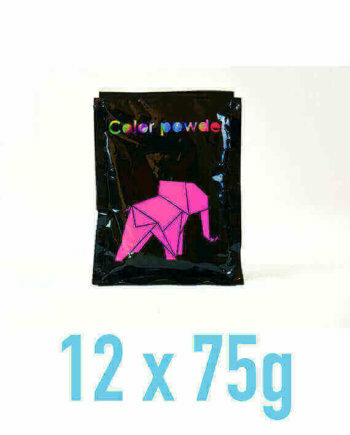 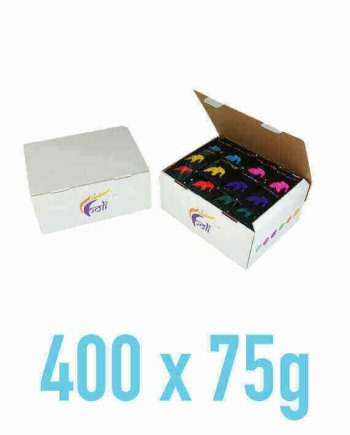 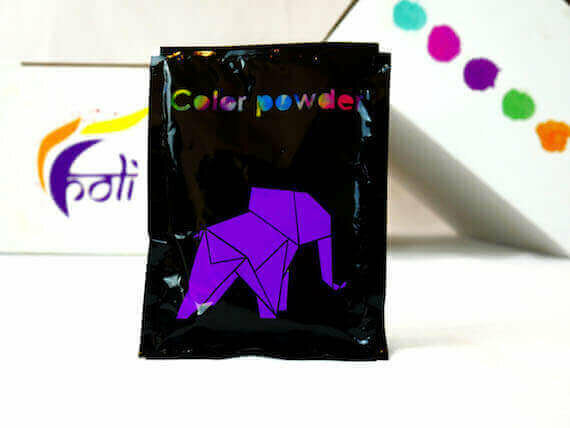 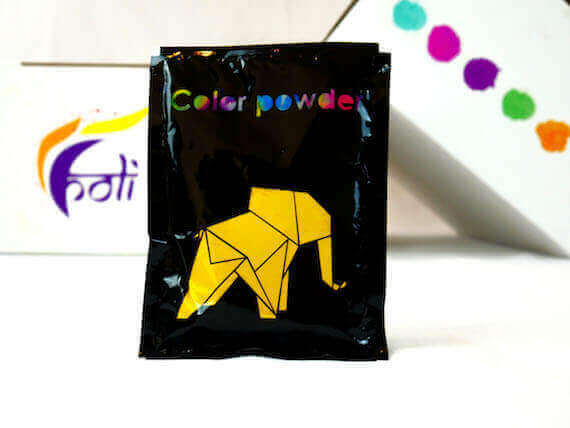 The package contains a colorful mix of 1000 pouches in 6 different colors (blue, yellow, green, pink, orange and purple). These shades are very intense and create a beautiful color cloud when throwing in the air. 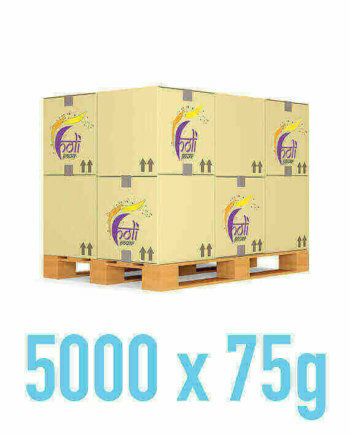 This set is designed for up to 200 people. 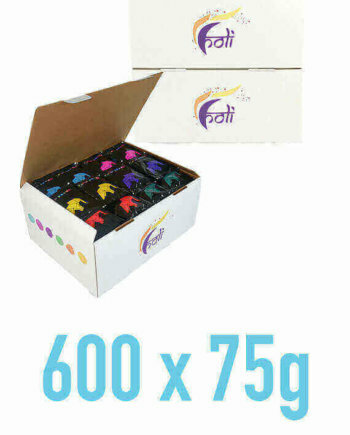 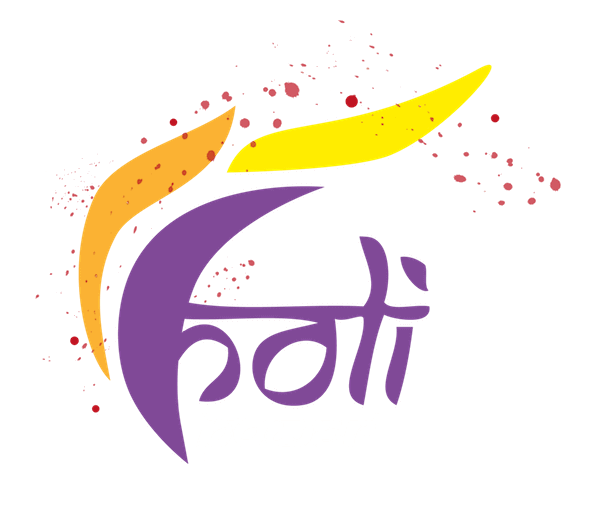 With this Holi colour powder set you are ideally equipped for a medium to large Holi festival. During the order process we offer you the possibility to write us a message with your individual color request.